Dr. Andrew Vogel serves as the English Department Chair. His research concentrates on American road stories in the Progressive Era. His current book project, titled Storied Road, examines the way road stories altered American geography at the turn of the twentieth century. Dr. Vogel also writes poetry. His work has appeared in Blackbook Press, The Blue Collar Review, The Lehigh Valley Review, The Heartland Review, Off the Coast, The Clark Street Review, Slant, The Evergreen Review, The Green Hills Literary Lantern, The Listening Eye, Plainsongs, and The Red River Review. 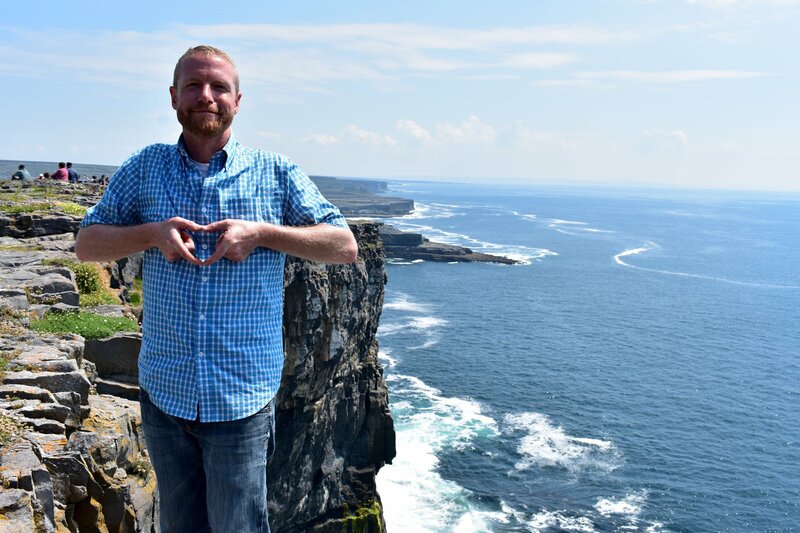 Most recently, he led a study abroad course in Ireland in cooperation with Dr. Eric Johnson of the History Department and Dr. Jason Lanters of the Psychology Department. A: I became a teacher because I love universities. I love the people, meeting them, trading ideas, learning from them, and I love education. By the time I was ready to change my major for the third time, I realized I wanted to work on a college campus, and becoming an educator was the obvious path. I’d have taught anything. I picked English because in English classes you can look into almost anything—politics, aesthetics, social theories, psychology, philosophy, science, and so forth. I came to Kutztown because they were hiring in my field and I quickly learned how great a place this is to study and be. As far as I’m concerned I have the greatest job there is. A: When I’m not travelling or working, I listen to jazz and read as many good books as I can. Q: What is your favorite book? Genre? Time period? Etc. A: Wouldn’t pick one, couldn’t pick one, but if I were in a devious Blofeld trap–Don Quixote, no hesitation. Q: Do you have a favorite project/assignment that you have done with students? A: I have taught in the KU London program. Creating a walking map of T. S. Eliot’s The Waste Land is so illuminating.